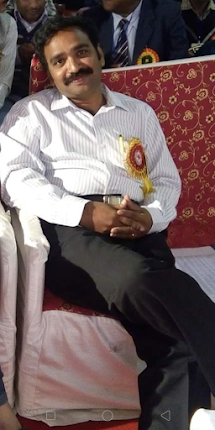 National Association of Postal Employees Group-C, Andrapradesh Circle, Vijayawada. With reliable information sourced from the Senior officer of Finance Ministry that the following Proposals agreed by the Department and sent to Finance Ministry and also probably accepted by the FM by the end of August 2017. Gds 7th pay report when implemented? Any update? GDS Pay Committee : Latest News. Date : 22.7.2017 7th CPC Travelling Allowance (TA) Rates w.e.f.1.7.2017. 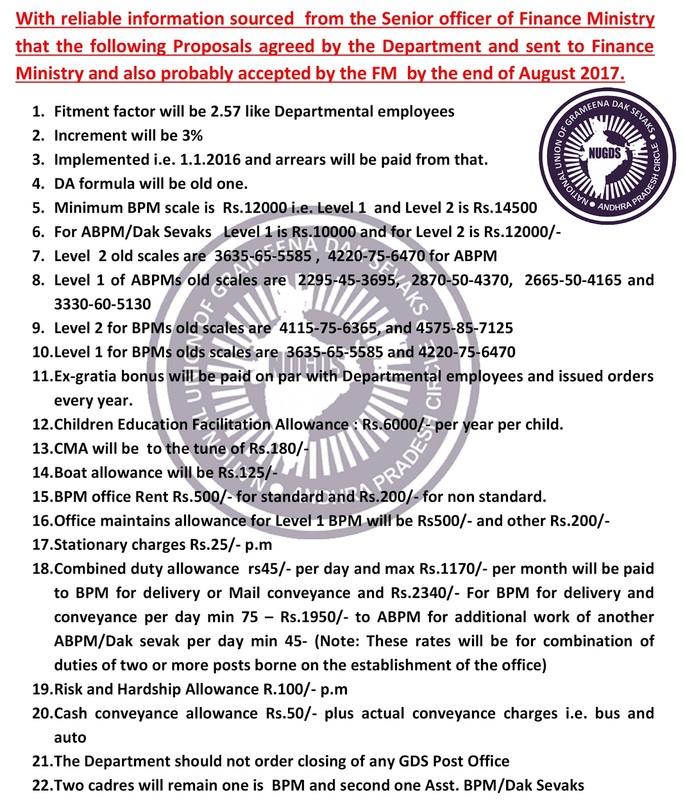 Date : 19.9.2017 Productivity Linked Bonus(PLB) for the accounting Year 2016-2017 : Department of Posts. 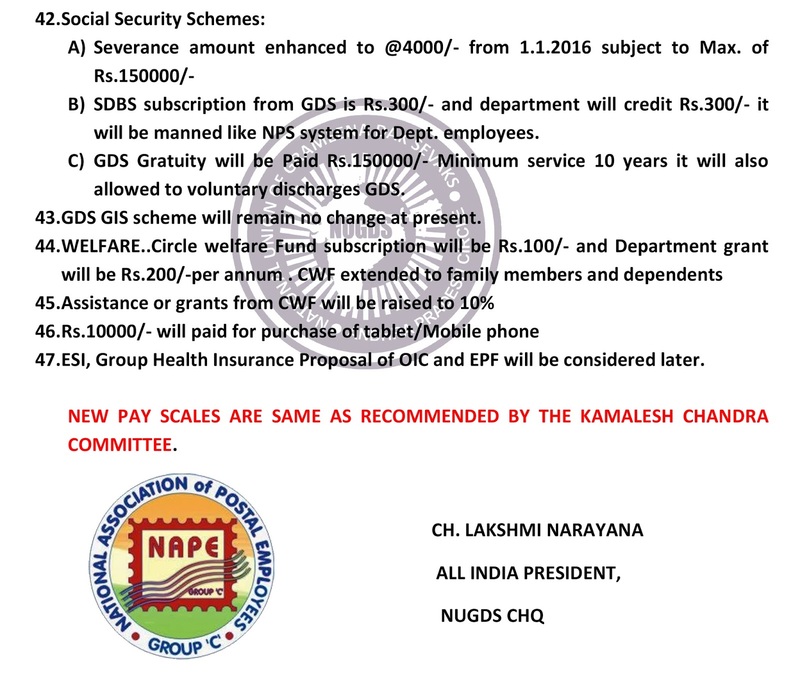 7 th CPC Revised Pay Rules Amendment 2017 : Gazette Notification Dated 15.06.2017. 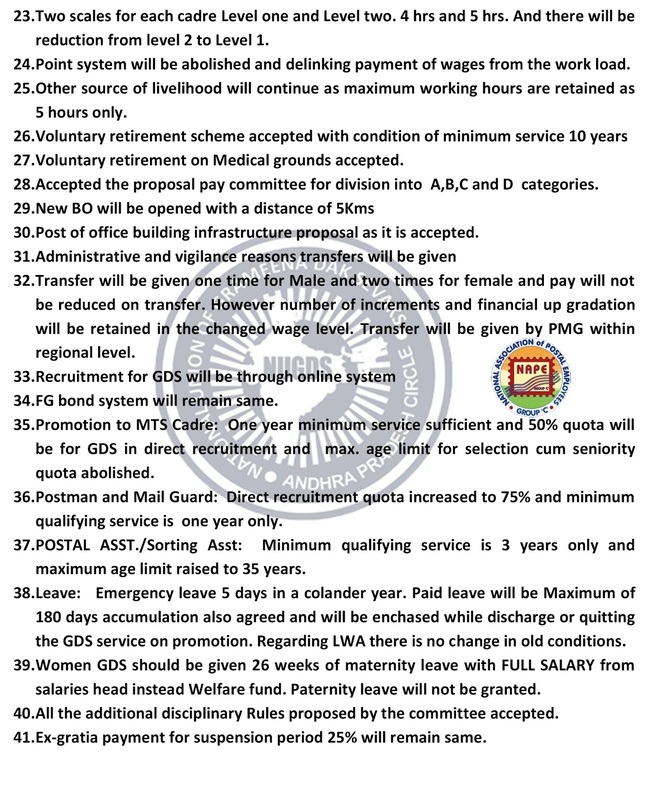 Date : 16.6.2017 7 th CPC Revised Pay Rules Amendment 2017 : Gazette Notification Dated 15.06.2017. Clarification on family pension admissible to NPS employees on their death attributable to Govt.service -Reg.